IMX 1102 Apple iPhone iPad Player - MatrixStream Technologies, Inc. The MX 1102 IOS player allows viewers with IOS smartphones and tablets to watch live TV and VOD instantly. Viewers have complete access to IPTV packages they subscribed to. Operators can enhance their IPTV services by offering multi-screen streaming on IP set top boxes, PC players, Android smartphones, IOS smartphones, and mobile tablets. MatrixStream’s IPTV platform is optimized to stream videos to multiple devices with different screen sizes. Once an IOS device is connected to the backend, the backend can identify the device and stream the video optimized for that device. The MX 1102 IOS player fully supports live TV, VOD, and videos recorded using MatrixStream‘s MDVR (Multi-Screen Digital Video Recorder) feature. Both IOS smartphones and tablets can access the EPG using an optimize user interface specifically designed for the IOS devices. 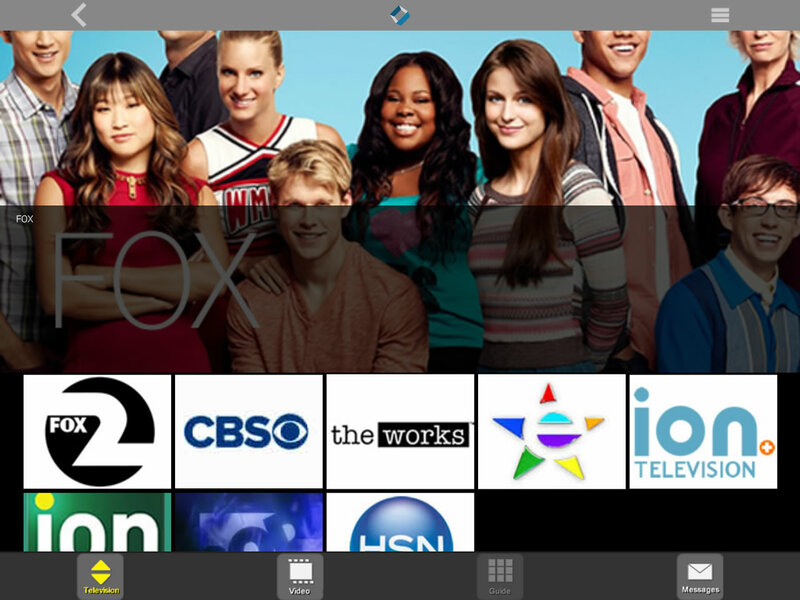 Each viewer can access live TV, VOD, and MDVR EPG. Parental controls are enabled on IOS devices. When a change to a parental control is made, it becomes immediately effective on all the devices whether it is PC, STB, or mobile viewers. The MX 1102 IOS player supports adaptive streaming. Based on each viewer’s available bandwidth, IMX streaming servers will optimize the viewing quality for that viewer. When a viewer has higher available bandwidth, a higher-quality video is provided as opposed to a viewer with a lower bandwidth. The entire IPTV system is optimized to give each viewer the best viewing experience based on available bandwidth. The MX 1102 IOS player is fully integrated with the entire MatrixStream IPTV ecosystem, enabling seamless access for viewers. IPTV viewers can watch any video, whether on live TV channels or VOD, on devices from large HDTVs, PCs, smartphones, and tablets. The IMX 1102 can be customized with each provider’s own unique logo. In addition, MatrixStream professional service team can submit the player to the Apple App Store so each provider can have their own IOS IPTV player. Please contact our sales team below for more information. Distance Learning – Teachers can offer students live video learning or on-demand educational videos. Ethnic Content – Foreign-born nationals can watch movies and news from their countries anywhere right over the Internet. Campus Entertainment – Students on campus can view taped lectures, movies, and sporting events over the campus IP network. Multi-Site Corporate Training – Corporations can provide high quality video training to customers and employees over their existing broadband IP network. Hospitality – Hotels can offer HD IPTV to guests over their in-room TVs. IPTV servers allow visitors to access a huge library of videos. Multi Dwelling – Apartment complexes can offer HD live TV and VOD IPTV services to all the renters. Localized Content – Local service providers can offer local events on-demand to subscribers over the Internet. Events such as local town hall meetings, high school football games, and basketball games can now be available over the Internet live or on-demand. The IMX 1102 Apple iPhone and iPad player is fully customizable to fit each provider’s unique requirements. We can implement your own logo right on the player and deploy it to the Apple App store for you. This way, you will have your own branded IOS player where your customers can download and install right from the App store. Please note you must contact our sales team to get a demo test account before you can use the MatrixStream player from the Apple App Store.